Hours after announcing a coaching reshuffle, Dignitas beats FlyQuest. This shouldn’t have been a contest. FlyQuest was sitting in second place while Dignitas was still sitting on its second win. And then, hours before the match, Dignitas announced a complete re-shuffle of its coaching staff. And just two weeks ago, FlyQuest dispatched Dignitas in a 2-0 sweep. But a different Dignitas team showed up Friday night. Calm, cool, and collected, they took FlyQuest’s best shot, held strong, and beat them. Displaying unusual cohesion and a jovial mood, Dignitas picked themselves up with a clean sweep. The first surprise came in the draft phase. Things started pretty benign outside of Dignitas ADC Benjamin “LOD” deMunck picking Ziggs. But after the second set of bans, it started getting weird. FlyQuest picked Vladimir, not a current meta champion, and someone who doesn’t really fit mid laner Hai Lam’s roaming strategy. Then with the last pick in the draft FlyQuest chose Jarvan IV, flexing him to the mid lane. For much of the game, Jarvan IV did his thing. He jumped on squishy targets and locked them down. But Dignitas picked a teamfighting comp and eventually started to out-execute FlyQuest. 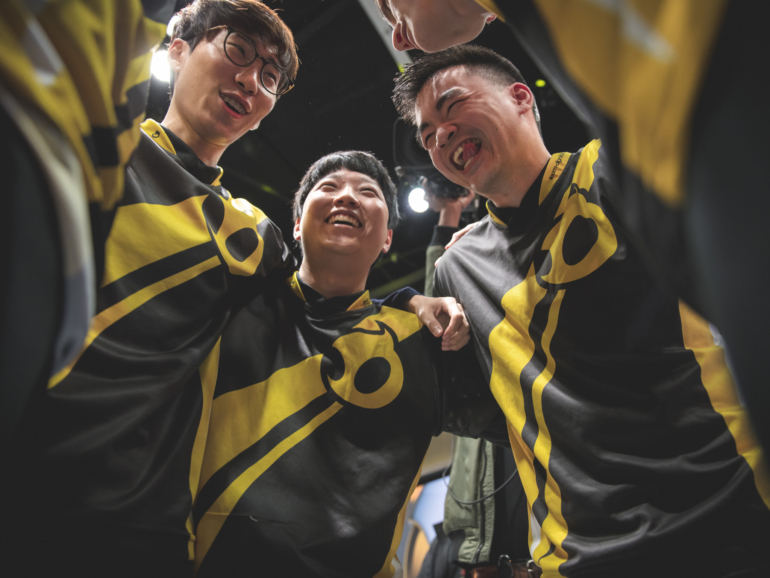 Perhaps seeing the way that FlyQuest stumbled in teamfights last week against Cloud9, Dignitas put star top laner Kim “Ssumday” Chan-ho on Shen and just waited for him to arrive. Even when LOD or another carry was deleted by Hai, Ssumday would arrive and turn the fight. That fight was with Ssumday teleporting in halfway through the play. When he is there at the start, both he and the team became un-killable. In game two, Dignitas jungler Lee “Chaser” Sang-hyun again got his team an early lead with an aggressive lane gank. He took an incredibly risky path that FlyQuest just did not predict. But they did fight back. Hai’s Jarvan IV looked unstoppable, picking up kills on all sides of the map. This time, FlyQuest built an even larger lead. But just like game one, when it came to crucial teamfight situations, Dignitas executed. FlyQuest had a lead and had decent ward coverage of the backside of the pit. Look at how much FlyQuest spend on Chaser, trying to keep him out of the pit—Jarvan ult and Malzahar ult, and they still can’t lock him down. And then Ssumday cleans up the fight. That was the story of the series. Dignitas tried putting Ssumday on a carry like Fiora and having him dominate lane. But their best win this season came with him on a tank, supporting his teammates. it would be easy to say that this was a fluke game from FlyQuest. Maybe the Jarvan just didn’t work, and they didn’t have a way to fight without a tank. That was a bumbled Baron, but also a bit unlucky. But this team has real issues to address. Sure, they’re proactive map plays in the early game are great. But for the second straight series, once the towers start to fall and the other team can sacrifice a long side lane to group, FlyQuest were unable to execute in grouped scenarios. Some of that is the draft, but a lot is their execution as a team. They also need to improve their teamfight setup. In their fantastic run to start the split, they had a penchant for making aggressive, 50/50 calls. Until now most of those went their way, but that luck couldn’t continue—tonight it abandoned them. On the other hand Dignitas were notably relieved and excited to pick up the win. It looked like a weight had been lifted off their shoulders. Maybe that’s because of the victory or maybe their new coach has eased the pressure on this team. Whatever it is, they have to keep improving and playing cohesive, team-oriented League. They can still get back into the playoffs if they continue to play like they did tonight.